So goes the often cited and vividly unfortunate metaphor of the poached frog, which is used so often in business settings that it has become a tired cliché. James Fallows of the Atlantic Monthly has even devoted an entire series of blog posts devoted to the worthy cause of banishing its use, and the myth has been busted by scientists and journalists alike, notably in Issue 1 of Fast Company. I confess to having succumbed to the lure of using the poached frog story myself, but I have since foresworn using it, and encourage you to do the same. The metaphor is appealing because it can be applied to support opposing arguments. ‘Don’t change too slowly,’ one conclusion tends to go, ‘because people won’t engage with gradual change before it’s too late.’ The opposite conclusion says, ‘Don’t try to change everything all at once, because people are simply unable to handle the shock.’ One (or even both!) of these arguments have been used at times by many of our consulting brethren; to support a recommended fast pace of change in a client organization, or to incite a response to a threat that has grown too gradually to notice. But there is no universal truth about the pace of change. Despite the weakness of the metaphor, understanding and managing the pace of change is really important. Excess caution in driving change enable skeptics and resistors to simply ‘ride out’ the change program while saying, ‘this too shall pass.’ Excess appetite for change risks distracting the organization from its legitimate efforts to deliver on the current value proposition, and exceeding what I call the organization’s capacity for change. I believe that each organization’s unique capacity for change changes from time to time like the weather. Separate from the organization’s capacity for change is its necessity for change, a variable which is driven by threat and opportunity in the organization’s environment. All too often, periods of low capacity and high necessity coincide to doom a previously healthy organization to failure. The objective of successful strategic management is not to simply drive a specific change, but to increase the organization’s overall capacity for change, While change is absolutely essential for the long-term survival of every organization, attempting to drive a degree of change in excess of the current capacity will have devastating results. 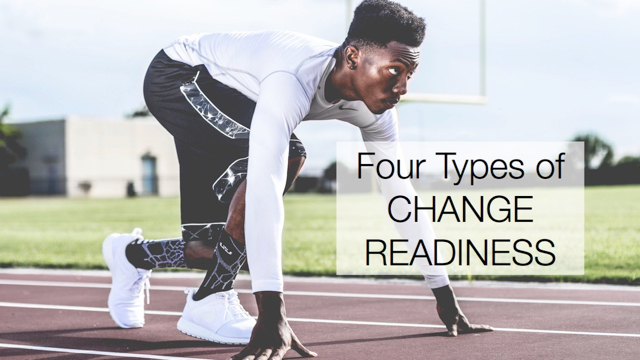 The ability to change is an asset; the nimble enterprise with reserve capacity has an advantage over less-prepared competitors. But successful strategic management also requires an explicit awareness of the necessity for change through an ongoing process of monitoring, discussion, and hypothesis testing to enable good decisions about when and how much change to ask of the organization. Does your organization have the capacity to change that it needs? Is your leadership constantly aware of the necessity to change? What steps have been taken to make your organization more capable to change? Please respond below with your insights and comments. Robert S. Gold brings over three decades of professional experience to his role as founder and thought leader of Tenacious Tortoise, LLC. In twenty years of executive-level management consulting, Bob has advised and enabled hundreds of organizations in such disciplines as strategic planning, business performance improvement, and information technology management. Prior to Tenacious Tortoise, Bob was Vice President and Practice Leader for Strategic Information Technology Management with Balanced Scorecard Collaborative, working directly with Robert S. Kaplan and David P. Norton, authors of the Balanced Scorecard discipline for strategic management. Bob earned his MBA (with distinction) in Management Strategy and Organization Behavior at Northwestern University’s Kellogg School of Management. This post was originally published at the Tenacious Tortoise blog. Reprinted with permission.